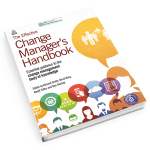 Identifying and analysing the impact of change is one of the keys to effective change management planning. It helps to avoid or at least minimise the disruptive impact of change and support the positive aspects of it. 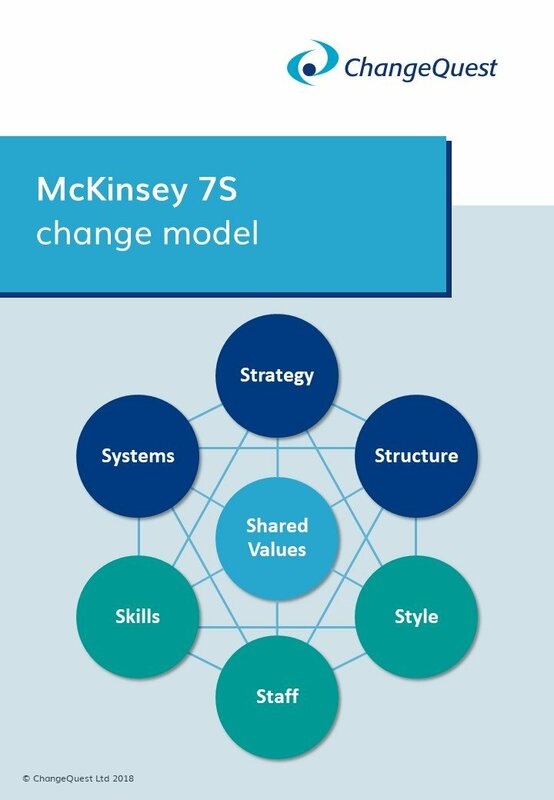 The McKinsey 7S model was originally developed by Tom Peters and Robert Waterman. They took a broader, more systems thinking approach to consider how effectively a company is organised, to make sure it is well aligned and mutually reinforcing, to enable future success. This model is also very useful for understanding the wider impact of any change initiative. They identified seven main organisational dimensions that are interconnected. These seven elements can be divided into two main categories that are referred to as the ‘hard’ and ‘soft’ elements. The ‘hard’ or more tangible elements are Systems, Strategy and Structure. The ‘soft’ elements are Skills, Staff, Style and Shared values. Change initiatives very often have more focus and effort put on the ‘hard’ more tangible elements, but the interconnectedness of this model shows that the ‘hard’ elements will not work unless the ‘soft’ elements are also addressed and aligned. This model is also a great reminder that change does not happen in a vacuum or in isolation; it can only happen within the wider context, and at the heart of it all is ‘Shared Values’ – the organisational culture, which can either hinder or enable change. Click here to download this quick reference guide for McKinsey 7S model for impact analysis.